This story is just too juicy: Authorities say that a young black woman has robbed at least nine banks à la Set It Off-style, and now the federales are in hot pursuit. Urena is accused of hitting banks in the Atlanta Metro area including nine since October in Paulding, Gwinnett, Douglas and DeKalb counties in Georgia. The Freedom Fighter Bandit’s latest heist was on Thursday at the Hamilton Bank in Dallas, authorities say. This time, the bandit had a male sidekick who pushed a champagne-colored Cadillac as the getaway car. The FBI said it believes that Urena is recruiting her male partners “on the internet somehow,” but one 17-year-old who spoke to WSB after he was arrested and charged in a bank robbery late last year says he met her on the street. 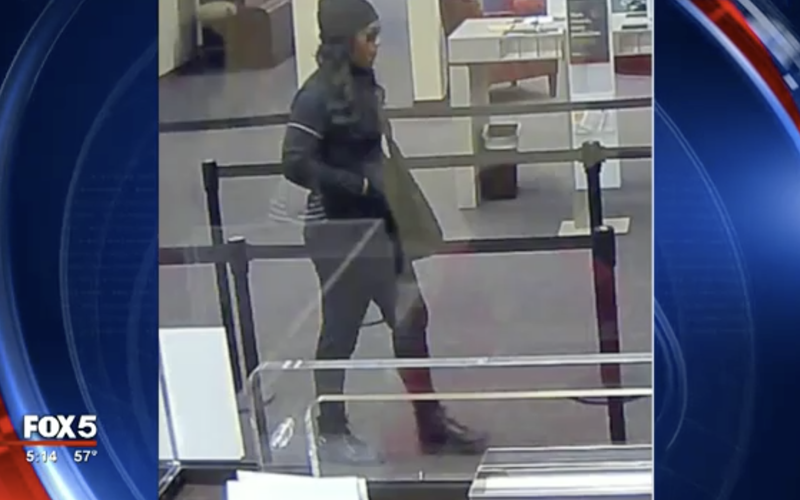 But I guess this woman was too convincing because, according to authorities, the young man did, in fact, participate in a heist by passing a note to the teller telling him or her the bank was being robbed. Atlanta FBI spokesperson Kevin Rowson said that the FBI wants to find Urena before she can continue to rob with her mob. “She is the person we need to get off the streets because when we finally arrest her, we believe that these robberies will stop,” said Rowson.